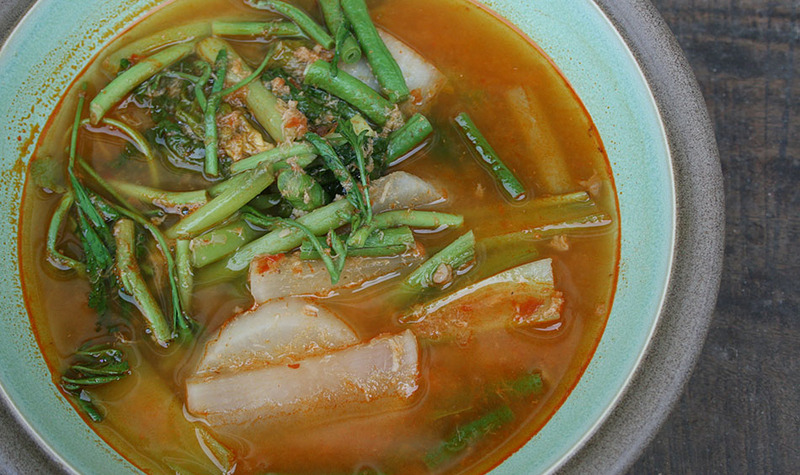 This is a very easy to make Chinese-Thai dish which goes well with pretty much anything. Add the oil to the pan. When the pan is hot, throw in the garlic. When the garlic starts to turn light brown, add the Chinese Broccoli. Stir for a few seconds until it starts to cook. It should cook fast, maybe 1-2 minutes tops. 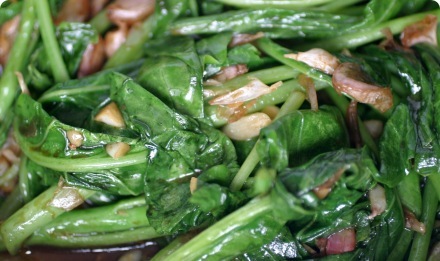 Chinese Broccoli is done when the leaves are dark green and wilted, and the stem is medium green. Then add the oyster sauce and remove from heat.